Port Blair: The Centre is in a name changing spree and now its turn for three Islands of Andaman and Nicobar Chain to get new name but the proposal has not gone down well with the Islanders of the Union Territory. The social media of Andaman and Nicobar Islands is flooded with negative reactions and remarks in this issue, especially because the remote Islands are facing major problems of connectivity and transportation, which are more important than 'names'.People of Andaman and Nicobar islands are offended mainly because before such a major move, the Administration neither consulted prominent citizens of Andaman Islands nor asked for public views. 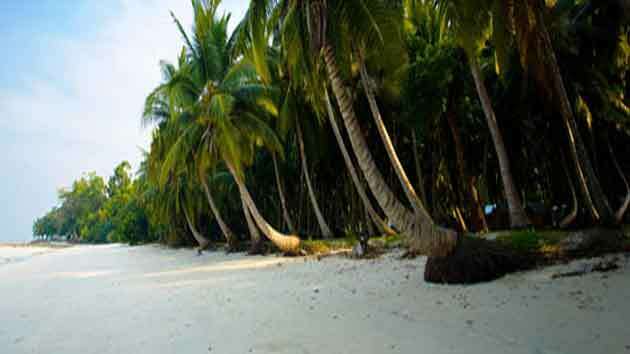 Many people attached to Tourism business, who have spent thousands of rupees on the brand names 'Havelock Island' and 'Neil Island' for online promotion of tourism worldwide, are worst affected as whatever they have achieved since last few years will be a total waste after the names change. According to Tourism Stake holders, it took several decades to build 'Havelock' and 'Neil' brand names for Andaman Tourism and now people fear that after these name changes it will take several more years to build new brand names.Meanwhile, Andaman and Nicobar Hotelier Association has also expressed reservation in this matter. Viper Island, Jolly Boy, North Bay, Red Skin, etc. These Islands are synonymous with tourism since the last view decades. The changing of name of these islands, after having created a strong brand will cause immense loss to tourism and to the local youths involved in tourism,? he said.